PARIS — The United States is pulling out of UNESCO because of what Washington sees as its anti-Israel bias and the need for "fundamental reform" of the U.N. cultural agency, the State Department said. In a statement, the State Department said it notified UNESCO's director, Irina Bokova, on Thursday of the decision. The U.S. will seek to have a "permanent observer" status instead, and the withdrawal will take effect Dec. 31, 2018. While the U.S. stopped funding UNESCO after it voted to include Palestine as a member in 2011, the State Department has maintained a UNESCO office at its Paris headquarters and sought to weigh in on policy behind the scenes. UNESCO expressed "profound regret" over the U.S. plan to leave the agency. The departure is a loss for "the United Nations family" and for multilateralism, Bokova said in a statement. She said the U.S. and UNESCO matter to each other now more than ever because "the rise of violent extremism and terrorism calls for new long-term responses for peace and security." 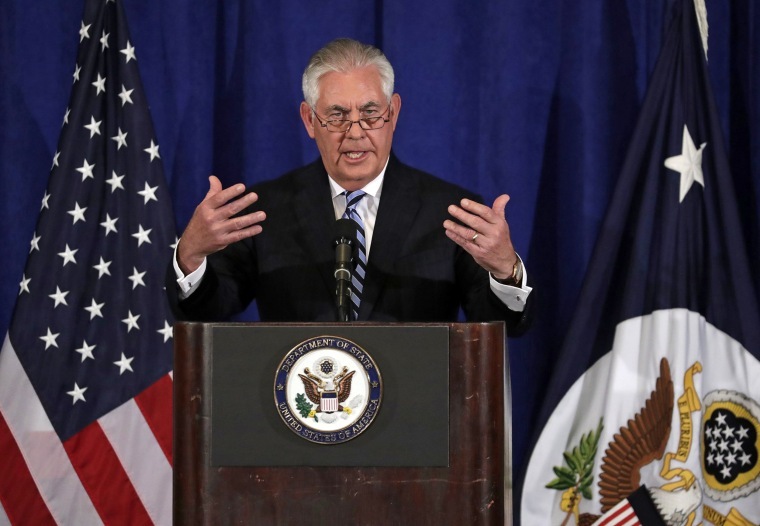 U.S. officials said that Secretary of State Rex Tillerson made the decision and that it was not discussed with other countries but was an internal U.S. government deliberation. The U.S. pulled out of UNESCO in the 1980s because Washington viewed it as mismanaged and used for political reasons, then rejoined in 2003.